It's nice to do business with you April. The razor mesh are very good quality. 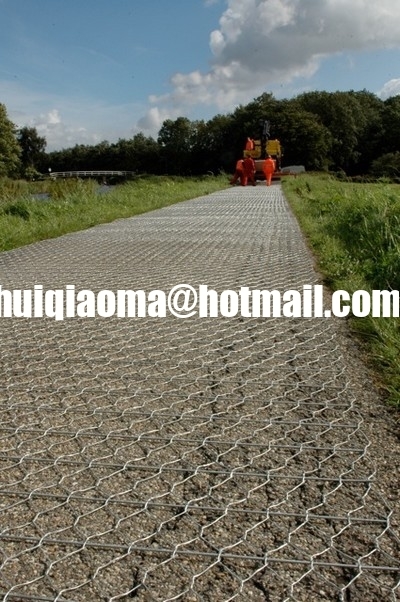 Road Mesh (also named Mesh Track )is manufactured from hexagonal woven wire Mesh Type 80 commonly referred to as double twist wire mesh. A transverse rod is woven into the mesh at 160 mm intervals. Road Mesh™ is a unique bi-directional heavy duty bound layer reinforcement used in pavement structures. Road Mesh™ has a three dimensional structure allowing the bound layer material to envelope each continuous wire strand, ensuring interlock occurs, and therefore optimum and immediate load transfer from the aggregate to the reinforcement. Road Mesh™ can be used in the bound layers of new or rehabilitated pavements to provide solutions for crack reflection, asphalt fatigue and surface rutting. The depth of the Road Mesh™ within the layer will depend on the design. Proven long-lasting technologies that lower the time needed for execution – and therefore reduce disruption to traffic. 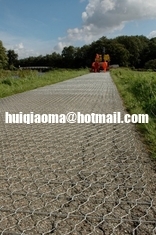 Road Mesh is a high performing flexible woven steel netting for surface rehabilitation and road base reinforcement.